A traditional scout troop from Chesterfield has received a funding boost, thanks to players of a charity lottery. The 1st/2nd Derbyshire Scout Troop of the European Scout Federation was awarded £10,000 by People's Postcode Trust, a grant-giving charity, funded entirely by players of People's Postcode Lottery. 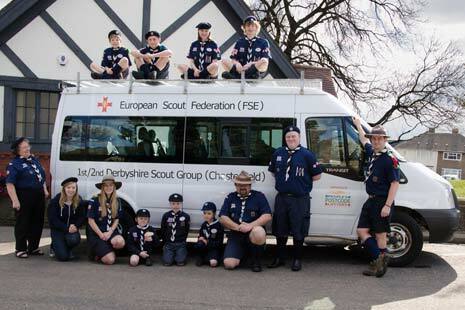 The scouts (above) have used the money to replace their ageing minibus ahead of a trip to the Netherlands this summer for a European jamboree. The bus is used by all members and sections of the group including Otters, Cubs, Scouts and Rovers. Group Scout Master Richard 'Skip' Lawson says, "We have been saving hard for a number of years to buy a new minibus but were finding it a real struggle. Our new bus will benefit the children in our group for many years to come, enabling us to get out into the Peak District as often as possible and keep the 'out' in scouting." 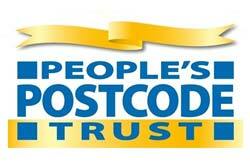 People's Postcode Lottery is a charity lottery, where players play with their postcodes to win cash prizes while raising money for good causes. As a charity lottery, 40p from every £2 ticket goes to support charities and good causes across England, Scotland and Wales, including People's Postcode Trust. 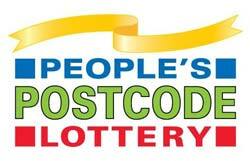 People's Postcode Lottery believes in supporting local communities so the money raised stays local to players. If you'd like to be in with a chance to win cash prizes while supporting local good causes, sign up for People's Postcode Lottery at www.postcodelottery.co.uk, or call 0808 10 9 8 7 6 5.